The Journal of Biomedical Informatics has an open access mirror Journal of Biomedical Informatics: X, sharing the same aims and scope, editorial team, submission system and rigorous peer review. TheJournal of Biomedical Informatics reflects a commitment to high-quality original research papers, reviews, and commentaries in the area of biomedical informatics methodology. Although we publish articles motivated by applications in the biomedical sciences (for example, clinical medicine, health care, population health, and translational bioinformatics), the journal emphasizes reports of new methodologies and techniques that have general applicability and that form the basis for the evolving science of biomedical informatics. Articles on medical devices; evaluations of implemented systems (including clinical trials of information technologies); or papers that provide insight into a biological process, a specific disease, or treatment options would generally be more suitable for publication in other venues. Papers on applications of signal processing and image analysis are often more suitable for biomedical engineering journals or other informatics journals, although we do publish papers that emphasize the information management and knowledge representation/modeling issues that arise in the storage and use of biological signals and images. System descriptions are welcome if they illustrate and substantiate the underlying methodology that is the principal focus of the report and an effort is made to address the generalizability and/or range of application of that methodology. The methods that are the focus of JBI papers may be drawn from any of a number of component sciences in the field of biomedical informatics. Although the methods are often related to the field of computer science, many JBI papers will emphasize innovative techniques from other fields, such as decision science, statistics, cognitive science, psychology, information science, organizational theory, or management science. If you are considering your bioinformatics article for submission to JBI, please be aware of this methodological focus. Biologic discoveries based on the use of routine informatics techniques may be important biologic contributions but are not suitable for JBI. In addition, please note that JBI publishes bioinformatics papers only if they deal with issues in translational (human) science. See the Translational Bioinformatics editorial that deals with this topic before submitting your paper. Papers on biomedical privacy or security must also offer new and practical methodologies that are clearly motivated by the challenges of health care and biomedicine. An established method from another field does not warrant republication in JBI simply because it has been applied to a biomedical problem. We also look for papers that describe substantial methodological novelty rather than small incremental improvements on previously published techniques. See our Privacy and Security editorial for more detail about our policies for acceptable papers in this area. Regular research papers: Presentation and discussion of a biomedically or clinically motivated system or approach that has required the development of innovative methods rather than the application of established techniques. Motivating applications may be discussed, but the new method should be discussed so that generalizability is clear, ideally with an assessment of its range of applicability. Please choose the article type "Research Paper" during the submission process. Methodological review papers: Reviews of a methodological approach that summarize its introduction, use, successes, and limitations. Such reviews will also often propose future research directions or critique a method and discuss the range of problems for which it may not be an appropriate solution. Note that such reviews should focus on a method or approach, not on specific application domain (e.g., avoid submitting on reviews such as "Computers in Diabetes Management"). Please choose the article type "Review article" during the submission process. Commentaries: These are articles, generally shorter than research papers, that tend to discuss previously published articles or a theme that is an important area of focus for the methodological basis of biomedical informatics research and its application. Commentaries are often invited, but may be submitted by anyone after a discussion with the editors. If submission of a commentary is being considered, please submit a brief proposal to ted@shortliffe.net beforehand. If your submission of a Commentary has been solicited, or approved by the editor, please choose the article type "Discussions" during the submission process and specify in the cover letter that your manuscript is intended as a Commentary. Special communications:These are articles that address an issue of broad interest to the methodologically-oriented informatics research community. They may report on the results of workshops or research studies, generally offering lessons or guidance that will be useful to others. Such papers need not report on innovative new informatics methodologies. If submission of a special communication is being considered, please submit a brief proposal to ted@shortliffe.net beforehand. If your submission of a Special Communication has been approved by the editor, please choose the article type "Discussion" during the submission process and specify in the cover letter that your manuscript is intended as a Special Communication. Letters to the Editor: Letters may be submitted and will be considered for possible publication in the journal. They typically comment on a previously published paper. Please choose the article type "Correspondence" during the submission process. Book reviews: The editors will occasionally identify a new book that is likely to be of interest to the JBI readership. They will invite individuals to write reviews of these volumes, and such submissions are by invitation only. Unsolicited book reviews will not be considered. Please choose the article type "Book review" during the submission process. Editorials: The editors or their invitees will occasionally publish editorials, but unsolicited editorials will not be considered. Please choose the article type "Editorial" during the submission process. When an author is submitting a manuscript in response to a call for papers for a special thematic issue, the submission category should be the special issue title but the cover letter should indicate whether the article is a methodological review, a regular paper, or a commentary. "It is increasingly difficult to publish articles that will have broad appeal to a diverse readership. We have accordingly decided that it is important to introduce a tighter focus to the journal in the years ahead, and it is with this in mind that we have renamed the journal to reflect a more modern and narrow emphasis. 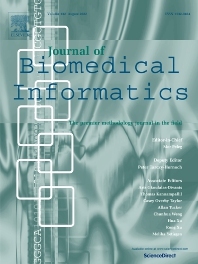 The Journal of Biomedical Informatics (JBI) is intended to complement rather than to compete with the other major journals in biomedical informatics. In particular, we wish to emphasize papers the elucidate methodologies that generalize across biomedical domains and that help to form the scientific basis for the field. Papers will tend to be concerned with information technology rather than medical devices, and on underlying methods rather than system descriptions or summative evaluations. You should expect this journal to be an excellent source of new ideas about how to tackle difficult problems that arise in the development of computational solutions to problems in the biomedical sciences and clinical practice." With almost two decades of publication under the JBI title, we are pleased by the success of the journal. It has a reputation for excellence and rigor and we hope that our readers and published authors are similarly impressed by the quality of both the work and the writing that we have attracted to these pages. JBI seeks to publish papers that make a conceptual contribution to the field, typically by describing an innovation in methodology or technique or by discussing substantive generalizable lessons that have been learned in the context of an interesting informatics project. When a contribution has a theoretical basis, that theory is an appropriate emphasis for the exposition as well. In our experience, many research projects that start as applications efforts result in methodologic innovation that, properly described, contributes to the scientific base of our discipline. Thus we are not discouraging submissions that discuss interesting applications but, rather, encouraging a perspective on how best to write about and share generalizable methodologic insights that derive from the applied work and from which others can benefit. We believe that such papers form the core of biomedical informatics as a science. There have been five principal reasons for returning papers without review. Perhaps the most common occurs when a paper is primarily a description of an informatics application or its evaluation. A new clinical system that addresses an important clinical problem, but that does not offer novel methodology, would be more appropriate for another journal, either in applied informatics or in the clinical domain of application. Similarly, survey/questionnaire studies or analyses of user needs are likely to be suitable for JBI only if they contribute new methods for performing such studies or analyses, or new insights into user behavior, cognitive science, or human-computer interaction. A second reason for returning papers without review occurs when a paper does not deal with the core informatics notions of information and knowledge management. Most commonly this occurs when a paper presents a new medical device or an approach to biomedical signal or image processing, especially when the emphasis is on numerical methods or physiological monitoring rather than information processing and management or knowledge-based approaches. We generally refer such papers to biomedical engineering journals or to clinical journals in the domain of application (e.g., a cardiology journal for new approaches to electrocardiogram analysis, or an imaging journal for a new mathematical approach to segmentation or other aspects of image analysis). Third, because the field of biomedical informatics is motivated across all applications to have a positive impact on human health or the treatment of human disease, bioinformatics papers submitted to JBI should be in the area of translational bioinformatics (TBI). We routinely reject papers without review if they deal with basic bioinformatics solutions that are broadly applicable (e.g., analytical methods for microarrays) but are not specifically motivated by human health or disease. We accordingly do not publish papers that deal with plant or animal bioinformatics or genomics methods specifically for use in agriculture or zoology. Fourth, we use supporting software to assess every submission to JBI, looking to see if there is evidence of significant re-use of text from other published articles. In some cases, the prior publications are not even cited in the new paper. Regardless of whether the authors of a manuscript are also the authors of a paper from which text has been re-used, we generally decline to review papers that have significant overlap with other publications. Not only do such practices lead to concerns of plagiarism (or self-plagiarism), they also raise questions about the novelty of the work presented in the new manuscript. We expect all papers to be written de novo and ask that the manuscripts (and the cover letter) make clear how the new work builds upon, enhances, or surpasses the capabilities of, prior published work. Finally, although JBI is an international journal and we understand the challenges that authors face when English is not their native language, some papers have such severe problems with their English exposition that we reject them or return them for revision, suggesting the involvement of an editor or coauthor who is expert in English before the paper can be judged suitable for entry into the scientific review process. Minor problems with language can be corrected in the editorial process, but more severe problems prevent an adequate assessment of the scientific contribution. Of those papers that have gone to review, our eventual acceptance rate is now about 25%. Every published paper has been accepted only after significant revisions, so authors should not be surprised when revisions are required before a paper is ready for publication. We believe, however, that the rigor we have introduced in the reviewing and revision process has resulted in a better, more scientifically useful product. For example, anecdotal feedback, as well as citation and downloading data, suggest that the methodological reviews included in almost every issue have been widely used for educational and study purposes. We have received an increasing number of submitted papers in each year since the transition from CBR to JBI. In our first year we received about 100 manuscripts but now receive well over 800 papers per year. As a result, the journal has grown in size, with more papers per issue. We also devote two or three issues per year to special methodologic topics overseen by guest editors who propose such special issues to us. Accepted papers are immediately made available online and are indexed in Medline. They appear soon thereafter in a compiled "virtual" issue on ScienceDirect. Since 2016 we have stopped producing a print version of JBI, having learned that the vast preponderance of access to the journal is through the Internet and ScienceDirect. Hard copies of full issues are available from Elsevier via the Print on Demand services. Papers may be published in open-access for a fee paid by authors, but they otherwise are available only to subscribers for the first 12 months after publication. Thereafter they are opened up to free access in our ScienceDirect open archive. Because the journal is produced online-only, there is not limit or charge regarding the use of color in figures or photographs in submitted manuscripts. We encourage you to submit your best methodological work to JBI. Bear in mind that we provide opportunities for in-depth discussion of an innovative approach, as judged by our reviewers as well as the editors, and have avoided any arbitrary limit on word count or other metrics regarding the length of individual articles. We also encourage papers describing doctoral dissertation work, and emphasize that the extensive topic reviews undertaken in a thesis document often can be adapted to develop a methodological review article that is suitable for JBI. The journal also has no page charges and can include multi-media components for articles in the online environment. Biomedical informatics is a burgeoning field, with important applications and implications throughout the biomedical and clinical worlds. We are eager to have the research community consistently identify JBI as the journal that best defines the scientific base for the field. We accordingly invite both your contributions and your readership.